/ EOS Coin: Ethereum Killer or Sheer Hype? Curious about EOS coin and whether EOS cryptocurrency is a true improvement on Ethereum or just another crypto trend that’s destined to die out? Let’s deep dive into what EOS is, what it does and whether it’s worth investing in. Ethereum is no doubt the number one player in the smart contracts space. It is the basis upon which all other smart contracts platforms operate – that’s why you’ll hear “Ethereum-based” quite often when you’re researching blockchain projects. But while it is the first mover in the smart contracts space, consequently receiving an enormous advantage in the market, it is far from perfect. We’ve talked about the scalability issue before and that remains one of the great problems all coins face, including Bitcoin and Ethereum. It is these shortcomings that rival coins are pouncing on and also the reason why cryptocurrencies as a whole are still in their infancy. The impression one gets from reading market price charts is that cryptocurrency is just about to take off and magically appear everywhere in the world. That is untrue. In fact, it’s absurd. The technology is in the baby stages, being tinkered and fiddled with to attain polish and perfection. Rival coins know that and are also aware that despite Bitcoin’s and Ethereum’s dominance, they have a decent chance of dethroning the two by coming up with the solutions that all coins are facing – and so there is a great race. It is in the context of this race that a coin like EOS appears, which is a direct competitor to Ethereum. Their goal is to be the next generation in scalable decentralized applications – and everything about them is a direct answer to Ethereum’s shortcomings. EOS has had an interesting birth. When it was first announced in mid 2017, it was displayed on a jumbotron advertisement in Times Square in New York City. The company behind the project is Block.one, which is run by Dan Larimer, who is also the founder of BitShares and STEEM, a blockchain financial platform and cryptocurrency project respectively. The EOS project raised a whopping $185 million worth of Ether in their ICO. What’s interesting about their birth and increase in awareness is that they have no substantial working product to show. There are some interesting ideas that they have stated which could potentially make it an “Ethereum killer”, as some in the community are calling it, but there is no hard proof of any of that just yet. There is also clear indication that the company has launched with the intention of making smart contracts for businesses and enterprise endeavours. 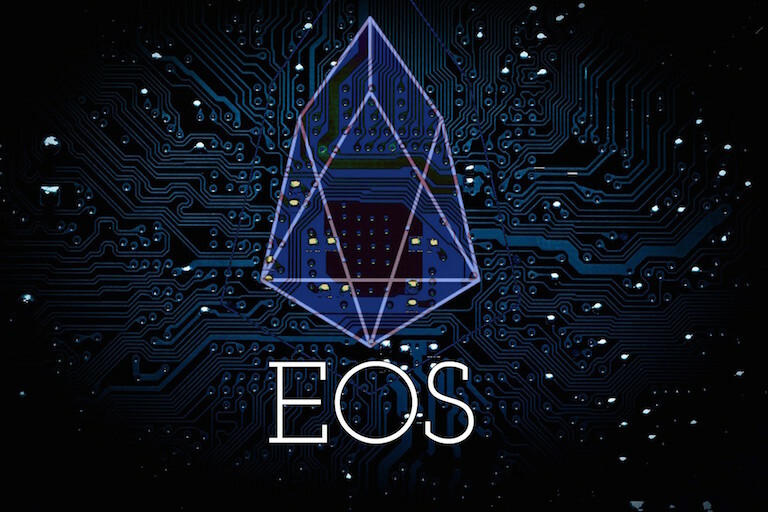 EOS describes their reason for existence quite clearly themselves in a document that introduces potential investors to the platform: they are aware that building decentralized applications and smart contracts is something of a chore at the moment, and developers and end users could have a more convenient and streamlined way of developing these things for commercial enterprises. Knowing that, they have sought to create a platform where the ecosystem of dApps and smart contracts is more fluid, natural and welcoming to potential investors and users. Given the space they are operating in, there are similarities between EOS and Ethereum. Both currencies put their smart contract capability at the forefront. As we have mentioned before, smart contracts are auto-enforcing mechanisms which operate on electronic commerce protocols. This is to say that if you are the recipient or sender of some cryptocurrency over the blockchain network, the penalties and obligations involved are automatically enforced by the system. There is no intermediary involved. Both EOS and Ethereum offer this advantage and though Ethereum is by far the more popular platform, it possesses shortcomings, which EOS seeks to address. EOS does not function very differently from other smart contracts platforms – it just does what, or claims to soon be able to do so, better than anyone else. We note these technological differences down below, but what you really need to know is that EOS is a platform where decentralized applications can be built, deployed and distributed. It will be something like an Operating System for decentralized applications. EOS’s most significant feature is its ability to scale horizontally. It has been talked about a lot before: Ethereum has trouble scaling to a degree where it is commercially viable. EOS uses a horizontal scaling mechanism that allows smart contracts to be deployed and executed simultaneously. What’s really special about this is that other platforms will not be able to implement such a mechanism without rebuilding the blockchain entirely. Additionally, EOS claims to be able to operate at up to a millions of transactions per second while using less energy. EOS is running a new technology called Graphene technology and is expected to run tens of thousands of transactions per second. Ethereum runs its transactions on a single-threaded CPU which puts it at a mere 25 – 50 transactions per second. EOS also makes use of parallel transactions, which would exponentially boost the number of transactions made per second. What this means for developers is that many more thousands of commercial applications can be run on EOS than on Ethereum. In another significant advantage over Ethereum, EOS only involves negligible transaction fees. Block producers receive their incentive from the increased stake they get in EOS by producing blocks, not from the transaction fees. In additional to all that, EOS provides certain core common functionalities that can reasonably be expected in all or most applications. The cryptography and app-blockchain communications functions will be the responsibility of EOS. It will include generalized role-based permissions, web toolkits for interface development, self-describing interfaces and database schemes, and declarative permission schemes. The end result of this is that developers can worry less about integrating blockchain functions, allowing them to spend more time on developing the specific business-oriented functions. In blockchain technology, there are two kinds of algorithms that can be used to arrive at a consensus on the state of the blockchain: Proof-of-Work (PoW) and Proof-of-Stake (PoS). This is highly technical matter, which we won’t dive into detail here. Instead, we’ll gloss over the major points. In Proof of Work (PoW), you have to mine to achieve the next block. In order to mine the next block, and arrive at a consensus about the state of the blockchain, users have to devote computational resources to solving the complex mathematical problems that result in the creation of a new block. It is practically impossible for any one group or individual to create a state that is in disagreement with the rest of the network because it would require billions of dollars in resources. However, mining is extremely inefficient as it relies on hashing power and third-parties (miners) to scale up. Proof of Stake (PoS), on the other hand, operates not on computational capability, but on economic and personal stake. Each individual on the network owns some stake in the blockchain and this is used to arrive at a consensus. Some currency is deposited into the network as collateral and the chain with the largest stake is used to arrive at a consensus. Because there is a personal stake involved, there is no incentive to cheat the system. On a side note, this is closer to the vision of democratization of cryptocurrency. Ethereum uses PoW, while EOS uses PoS. However, it must be said that Ethereum will soon switch over to Proof of Stake. PoS allows you to spawn multiple forks without the worry of it affecting the network. EOS also features a mechanism to freeze and fix frozen applications, again without affecting any other application. Neither of this is possible with Ethereum. In EOS, every user on the network is given EOS tokens, which give them a proportional share of resources on the network – computational power, storage and bandwidth. This way, power is distributed on the basis of how many tokens you own, regardless of what others are doing. Developers will also only need to purchase the initial tokens for their work. EOS was founded and is led by Dan Larimer who, as we mentioned, founded BitShares and STEEM. He is also the CTO of the project. Brock Pierce, who launched the first ICO token, Mastercoin, is also working on the project. Ian Grigg is a partner and the financial cryptographer. EOS ranks very well on Coinmarketcap, sitting at 9, between NEO and Dash. It has captured a market of $6.4 billion with each token trading at $9.54 at the time of writing this. At its peak, EOS was valued at roughly $18. This was in the middle of January of 2018, before the markets started to slide in late January. It is yet to recover from that dip but given 2018’s development focus, it should easily reach its peak and go beyond the 18 dollar valuation. It’s long prospects will depend on whether it can hold true to its promise to give Ethereum run for its money. There are currently approximately 677 million coins in circulation with a total of 900 million. The max supply will be 1 billion. It remains to be seen whether EOS will overtake Ethereum. It might not even take off to any great height because Ethereum itself is working hard to introduce the Casper protocol and the Raiden network to solve its technical hurdles. What’s more, Ethereum already has a strong enterprise foundation and has formed numerous partnerships. That kind of progress is hard to rewind or dismiss; it can only occur if there is some radical technology that is absolutely necessary. EOS is a beefed up version of Ethereum, with a focus on delivering the best most conducive platform for commercial enterprises – because of its technical architecture. It also offers more development power to the users, while making itself more consumer and business friendly by bearing the blockchain responsibilities itself. There is definite reason to keep an eye on EOS. The technical elements of its platform are certainly lucrative possibilities, but the team must showcase something to gain the confidence of investors and prove that it can indeed dethrone Ethereum. Without a doubt, 2018 will also be a big year for Ethereum and the buzz is that it will explode in value as projects, companies and businesses adopt the smart contracts functionality in their activities. The question is, can EOS topple Ethereum before it has too strong of a hold on the market? Can we see the EOS grow quickly and convince enterprises that it is the better option? EOS will have to put its foot down on the pedal to offer a realistic challenge to Ethereum. While we are still in the early stages of the cryptocurrency, time is running out for altcoins – because the big names know that they must always look over their shoulder.